Originally from Mexico, he has been working in art and film in the US, Europe and Mexico for the past 15 years. 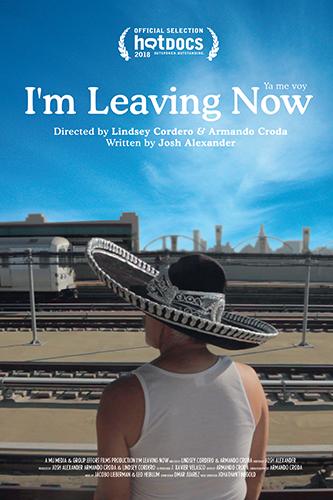 He recently premiered his documentary "I’m Leaving Now (Ya me voy)" at Hot Docs 2018. He is currently editing the documentary “Out of Many, One” (2018) for Netflix by John Hoffman and Nanfu Wang. Edited the documentary “Jay Myself” (2018) on the iconic New York City photographer Jay Maisel. He edited the three channel documentary “Two Meetings and a Funeral“ (2017) by Naeem Mohaiemen. He edited the feature documentary “Samantha and her Amazing Acrocats” (2017) by Jacob Fiering. He was additional cinematographer and editor of the documentary “Havana Motor Club” (2015) by Bent-Jorgen Perlmutt, about Cuba’s top drag racers and their quest to hold the first official race since the revolution that premiered at the 2015 Tribeca Film Festival. Co-director, cinematographer and editor of the tv documentary “Firmes, Mexicans in the Bronx” (2013) for Nat Geo Latino, about undocumented Immigrants who have left the gang life behind and formed a Lowrider car club on the East Coast. Armando also completed the feature film, “Victorio” (2008) as co-director and editor, which was awarded Opera Prima at the Guanajuato Film Festival, and screened in various festivals in Europe and Latin America, including Valencia, Huelva, St. Petersburg, Havana and selected for the Human Right competition in Bilbao film festival. Shot over two years in the heart of Brooklyn’s immigrant community, YA ME VOY (I’m Leaving Now) is a searingly intimate portrait of one undocumented worker on the margins. A blend of documentary with some fictional elements, the film allows the rhythms, emotions and sounds of Felipe’s life and the city to drive the story, utilizing a structure and a style often not seen in documentaries. Impressionistic, cinematic and with the city as its soundscape, the film pushes the boundary of how documentary can capture the lives of the unseen, ultimately elevating this one lonely man’s story into a lyrical meditation on themes of family and home, loneliness and love. As Felipe debates whether to stay or go, the film builds to a heartbreaking portrait of the struggle and drama that exist in the lives of the often invisible figures toiling away in the kitchens, hotel rooms and construction sites of our biggest cities. Eschewing politics, the film is political nonetheless – a quiet and unforgettable snapshot of one man held in suspension between a world of endless work and a faraway home. Music video directed by Armando Croda and Jano Mejía. Armando Croda, editor and producer. Musicians Todd Clouser and Billy Martin (drummer of Medeski, Martin and Wood) made and exploration trip to Chiapas, Mexico in search of inspiring sounds. What they found it couldn’t be expressed with words, a great richness of culture and stories expressed through the heart language, the music. They visited Zinacantán, San Juan Chamula and San Cristobal de las Casas and present in this short documentary a sample of yesterday and today’s music in Chiapas, with the main purpose of showing solidarity with all the people who need to express their stories and feelings through music. 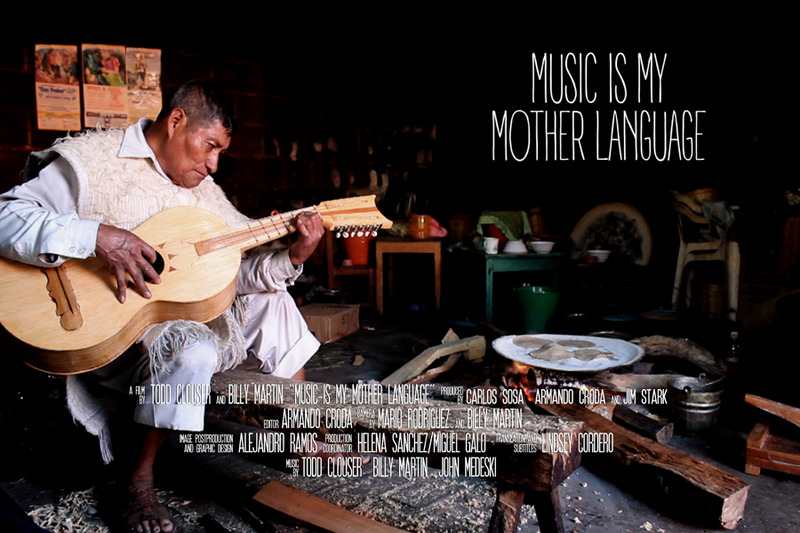 Music is my Mother Language was presented in the San Cristobal de las Casas Film Festival in January 21st of 2015. This documentary will be release very soon. If you need a screener please contact Armando Croda. Armando Croda, co-director, cinematographer, editor. Lindsey Cordero. co-director, sound, editor. Beth Miranda Botshon. line producer. Carlos Sosa. producer. Viento del Norte Films. Laura Imperiale. producer. Cacerola Films. Ex-gang members in search of a more dignified life, FIRMES is the story of the hardships and triumphs faced by a group of Mexican immigrants fighting for survival in the Bronx. United by their love for art, culture and Mexican traditions, they’ve formed strong bonds and a solid community. Together they attempt to stay away from gang life, get over past mistakes and hash out a legitimate existence in the tangled urban landscape of New York City. House of Ink is a tattoo shop located in Mount Vernon, NY that is run by Mexicans. It’s not just another tattoo shop – it’s a home, a hangout were mostly Chicanos and Mexican immigrants come together. Intensely proud of their Mexican heritage while trying to make sense of a new country, they express their identity through art and design, decorating their skin with folkloric and revolutionary Mexican icons. Prehispanic Aztec figures, La Llorona, La Cartina, La Santa Muerte and Our Lady of Guadalupe are all staples. House of Ink customers say that police target them because of the way they look, dress and their multiple tattoos. Although some of the customers were once involved with gangs, they all say they have learned to step away from that life. Now they have honest jobs and work hard to support their families. They still miss where they come from — the traditions, the family, and the life they had across the border. But while they still yearn to keep Mexican traditions alive, they also seek to create a new community in New York. At House of Ink at least, they can freely express their identity by rescuing their sense of belonging to a family — a family of artists and strivers with Mexican roots; a family trying to build a new life together in a place that’s not always welcoming. Dyablo, a regular customer at House of Ink has the words “The Revolution Continues” tattooed on his forehead. “In a way we are still fighting a revolution,” says Cruz. “We are still defending who we are, what we like and what we represent. The revolution continues,” he says. Hypnotic Brass Ensemble – Straight Business from Armando Croda on Vimeo. J. Xavier Velasco, director, producer, editor. Armando Croda, director, producer, editor. Music by Hypnotic Brass Ensamble.